I feel like for almost every post I see on Facebook, I lose a brain cell. In other news, did you know that if you hit the “J” key on your keyboard it scrolls down your Facebook (and Tumblr) newsfeed, and that “K” scrolls up? Let’s lose those brain cells at an accelerated rate together, shall we? 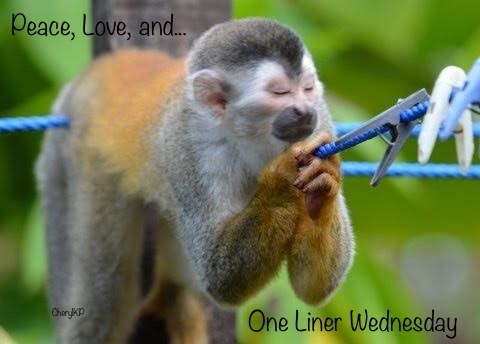 Categories: advice, Blogging, Blogs, One-Liner Wednesday, Opinion, Prompt | Tags: #1linerWeds, Facebook, Humor, humour, inspiration, support, wasted time, writing prompt | Permalink. No, I did not. If it’s all the same, I’m just going to do it manually and clicky like. I’ve all but given up Facebook and Twitter. You can actually feel yourself getting stupider with every post. Sometimes you find some funny stuff there, but mostly it’s junk. I didn’t know the “j” and “k” thing, but that’s pretty common. In Feedly it’s next article (j) and previous article (k). Did not know that – the part about the ‘j’ & ‘k’ – the part about the brain cells, yeah, I can see that. Well, I learned something new there!